I wanted to show you a few photographs from this lucky birthday girl’s party. She had the most amazing party styled for her by Renee of Renee Williams Events (www.reneewilliamsevents.com), and we where pleased to contribute a number of pieces to help dress the space. 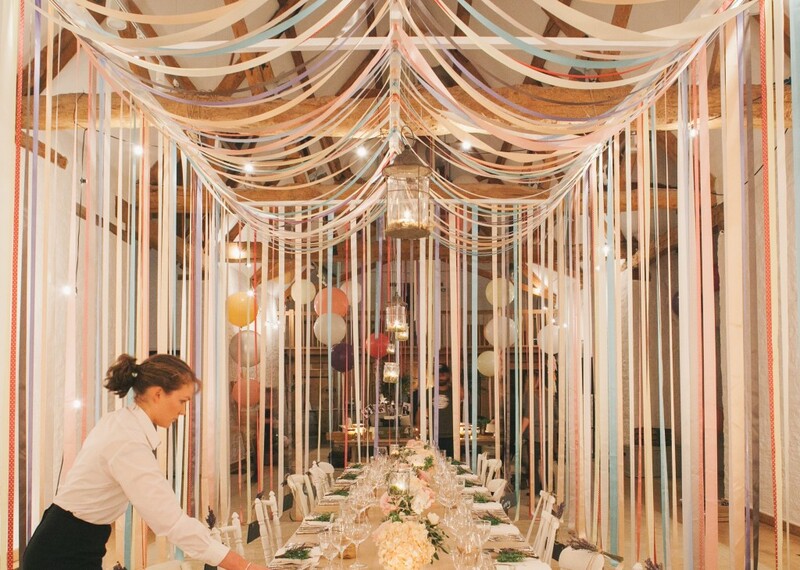 Renee created a stunning looking party from a fairly plain building and a tonne of imagination! 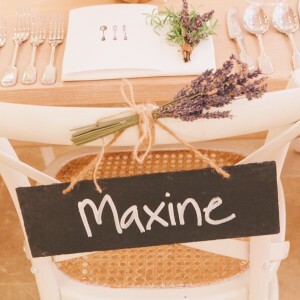 She made brilliant use of our slate signs as place names, they looked really bold and stylish against the soft lavender and the rattan and white chairs. 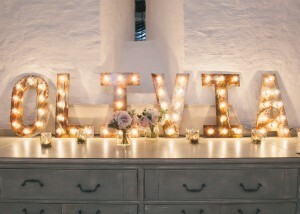 You can find lights similar to those shown below (the ‘Olivia’ picture) from our friends at Glow Lights (you can find them at: www.glowlovelight.com), and we think you will agree they add a lovely personal touch to the overall style. 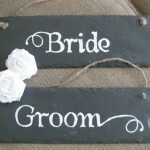 Both slates and blackboards are totally brilliant for communicating with your guests at a wedding or party in an artistic way, the perfect and versatile DIY accessory. 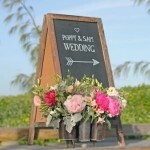 The blackboard is so simple and nostalgic and can be used for many different messages; a food or cocktail menu, a table plan, guest book instructions, or your love story! 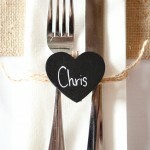 Whilst the slates are perfect for naming food and drinks, place names, arrows and of course the toilet sign! Even better, you can wipe them clean and add another message mid event. 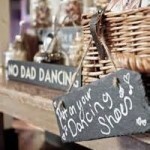 The slates you can see on the photos are very reasonable to hire and look just as effective in a rustic style environment as they do in a modern room as you can see in the photos of Olivia’s party. A perfect opportunity to personalise your day. Write your messages beautifully with a chalk pen or add a fun twist with pretty coloured chalks. Guests love being able to leave a message for the bride and groom, leave them a big blackboard and a tin of chalk and let them go wild, then make sure you get your photographer to capture the results. Have a look at these pictures for more inspiration!